Now that I am working full-time, our evenings have become a little more compacted. No longer can Soren stay up until 9... we found that out the hard way on monday morning when he refused to get out of bed. And refused to get dressed. Or eat breakfast. I should really say poor Tyler, as I was already at work by the time the waking up shenanigans were going on. For the most part we try to stick to a fairly similar schedule, especially on weeknights. 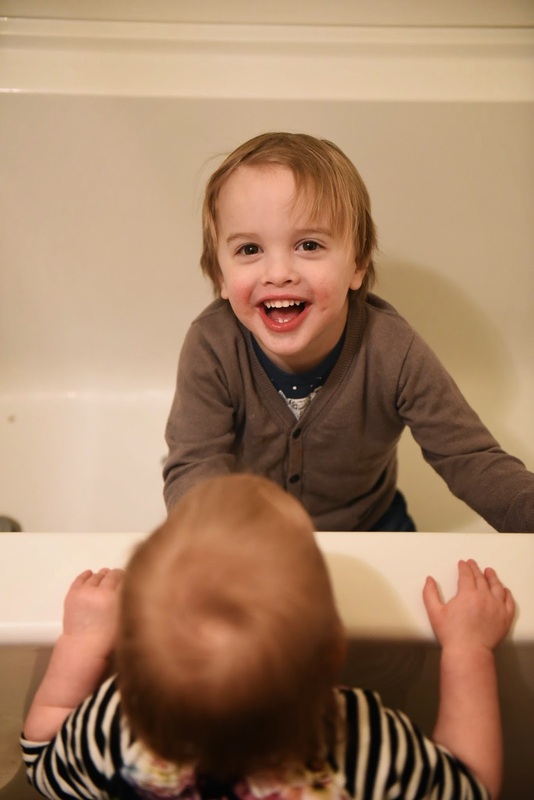 After dinner we head upstairs for baths, and last night Soren jumped into the tub fully clothed. Luckily, the water wasn't on yet! 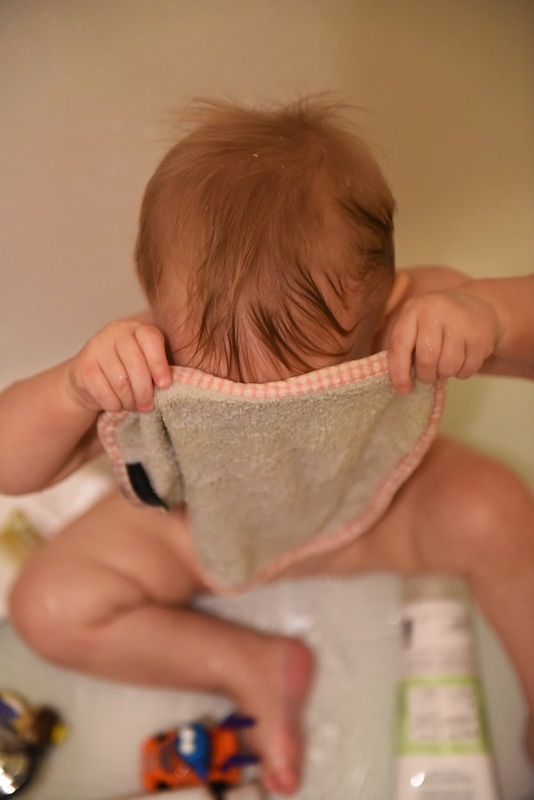 Both kids have extra sensitive skin, so I usually bathe them every second night. 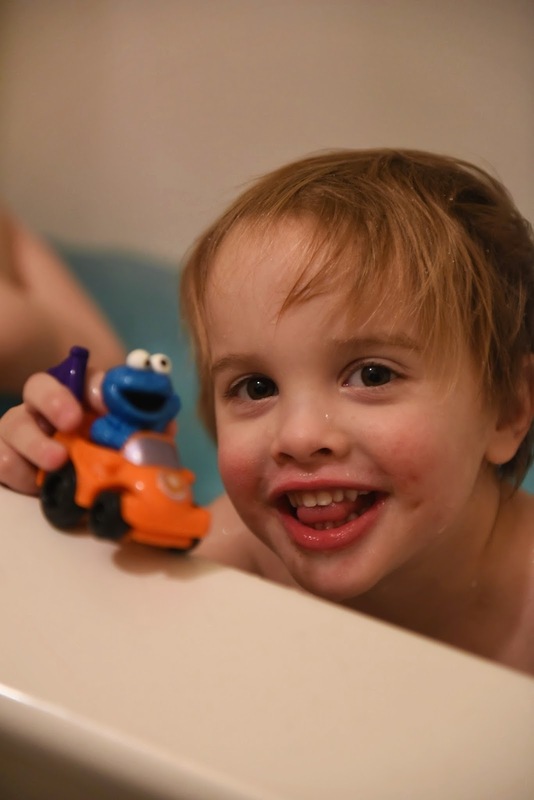 We use Aveeno bath products for the most part, but Soren got some coloured bath bombs for christmas that he has been loving. Last night we picked blue, which is why the water looks a little crazy.